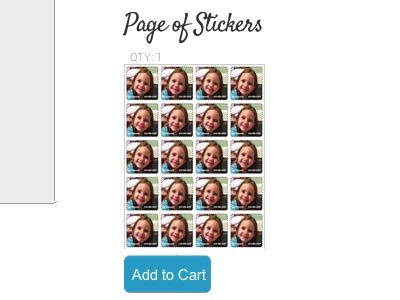 Re-ordering previously made sticker pages is pretty easy! Log in to your account, choose "My Account" from the drop-down menu, and then select ‘Order History’ to view the pages that you have ordered in the past. To add any of those pages to your shopping cart, simply click "Add to Cart". Or go to the "My Stuff Organizer" and find your "Saved Pages" section to find the pages that you may have already created and ordered. (Helpful hint: Pages that you have created, but not previously ordered will be found here as well!) Simply click “Add to Cart” and follow the checkout process again.